ChildChild age: 3-11 years old. Under 3 free. Our "Direct to Gate" tickets allow immediate admission. Dedicated to the world's most diverse and largest body of water, the Aquarium of the Pacific has spectacular galleries and exhibits. Visitors can explore the waters off Baja and Southern California as well as the sultry Tropical Pacific and the icy Northern Pacific realms. 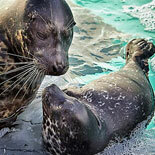 Over 11,000 marine animals from almost 500 different species live in this premier facility. The architectural style of the Aquarium of the Pacific is designed to mimic the lofty waves of the ocean that inspired the facility's galleries and exhibits. Welcoming nearly 1.4 million visitors each year, the aquarium is the largest facility of its kind in Southern California and the third largest cultural attraction in the Los Angeles area. The interactive displays and exhibits create an exciting, entertaining and educational experience for the entire family. The Southern California and Baja Gallery features the aquatic plants and animals that inhabit the waters off the west coast of the United States and Mexico, such as the Garibaldi, Mexican lookdowns and Cortez rainbow wrasse. The Tropical Pacific Gallery highlights the colorful menagerie of sea creatures that roam the reefs and warm waters near Micronesia in the Western Pacific like weedy sea dragons, big-belly seahorses and blacktip reef sharks. The Northern Pacific Gallery provides insight into the marine life that survives and thrives in the cold waters of the Bering Sea. The fascinating inhabitants include the giant Pacific octopus, sea otters and diving birds, such as the puffin and auklet. The June Keyes Penguin Habitat features a space that visitors can crawl inside for an up-close look at these amazing creatures. 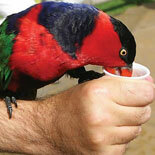 Outside exhibits include Shark Lagoon and the walk through Lorikeet Forest Aviary. 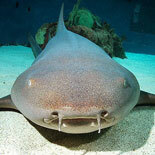 The lagoon includes a shallow water touch tank housing Bamboo and epaulette sharks. The "Our Watersheds: Pathway to the Pacific" exhibit enlightens guests about the San Pedro Bay Drainage Basin and the conservation efforts designed to protect it. In conjunction with the National Oceanic and Atmospheric Administration, the Aquarium's Ocean Science Center explores ocean phenomena, marine conservation and maritime trade. 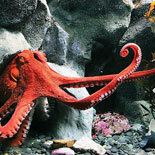 Purchase a general admission eTicket to the Aquarium of the Pacific so you can visit this wonderful attraction. You will be amazed by the dazzling undersea world that exists beneath the waves of the Pacific. You will be amazed by the dazzling undersea world that exists beneath the waves of the Pacific. The interactive exhibits create an exciting, entertaining and educational experience. Over 11,000 marine animals from almost 500 different species live in this premier facility. Open Daily from 9 a.m. to 6 p.m. Closed April 13 - 15 for the Long Beach Grand Prix and Christmas Day. Aquarium Way and Shoreline Drive W.
The parking structure for the Aquarium is on the water side of Shoreline Drive, between Chestnut Place and Aquarium Way. Parking is $6 for Aquarium guests, in both the Aquarium and Pike parking structures when you show an Aquarium ticket stub. Additional parking: When the Aquarium lot is full, you will be directed to The Pike parking structure. The entrance is on Chestnut and Shoreline, just across the street from the Aquarium's main lot. 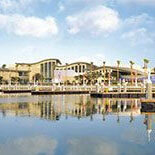 Aquarium admission includes all the galleries, hands-on labs, and presentations as noted on the daily handout. The Aquarium of the Pacific provides wheelchairs free of charge. 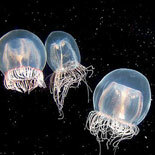 The Aquarium is most crowded on the weekends, during the holiday season and during the summer. If you do decide to visit on a Saturday or Sunday, beat the crowds by coming earlier (between 9:00 am and 10:00 am). During more popular summer periods and holidays when higher attendance is anticipated, the Aquarium of the Pacific utilizes a timed ticketing system, which allows each guest a special time to enter the facility.